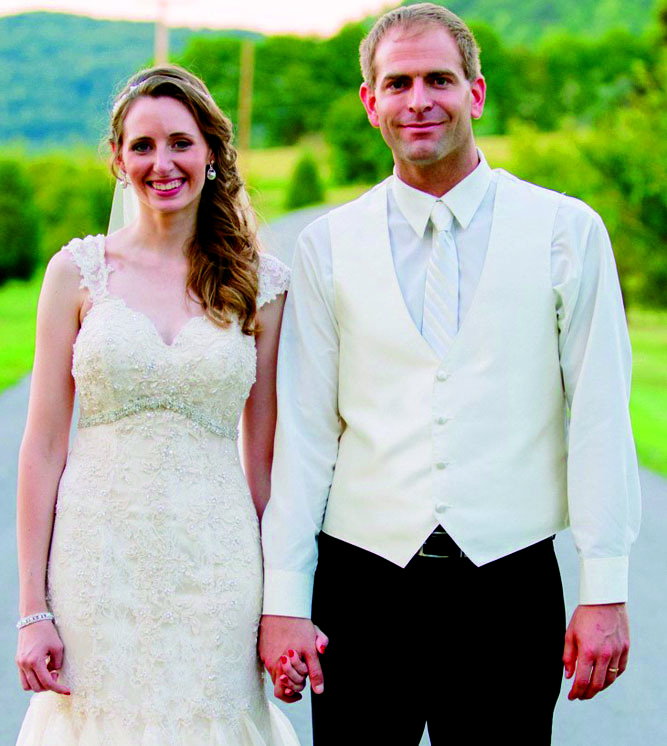 Brianne Long and William Clapper were united in marriage at 2 p.m. Aug. 6, 2016, at Grace Bible Church, Hollidaysburg. The bride is the daughter of John and Lisa Long of Altoona. The bridegroom is the son of Bill and Linda Clapper of Saxton. Pastor Todd Wertman performed the double-ring ceremony. Soloists were Matt and Carol Latini and Brittany Hileman. Brittni Crum was matron of honor. Bridesmaids were Annie Tokarski and Denyel Ickes. Emma Clapper was the flower girl. Brad Clapper served as best man. Ushers were Brian Radakovich, Michael Potts, Shane Cafferty and Brennan Long. Cooper Long was the ring bearer. The reception was held at the Edgewater Inn & Riverside Grill, Alexandria. Dr. Carla Pielmeier was the guest book attendant. The rehearsal dinner was held at Jethro’s, Altoona. The couple went on a wedding trip to Captiva Island, Captiva, Fla. They live in Bradenton, Fla.
Mrs. Clapper is a 2007 graduate of Altoona Area High School and a 2011 graduate of Houghton College, Houghton, N.Y., with a bachelor of science degree in therapeutic recreation and equestrian studies. She is a special needs assistant at Beyond the Spectrum School, Sarasota, Fla.
Mr. Clapper is a 2001 graduate of Hollidaysburg Area High School; a 2005 graduate of Youngstown State University, Youngstown, Ohio, with a bachelor of science degree in integrated business education; and a 2007 graduate of Indiana State University, Terre Haute, Ind., with a master of science degree in educational technology. He is a basketball coach at IMG Academy, Bradenton.